Most of our clients are able to discontinue treatments after 5-7 treatments if they follow the recommended treatment schedule. An occasional touch up is needed from time to time. It is also important to understand that results may vary depending on the individuals hair type, their stress levels, certain medications and different hormone levels. Some individuals will require more treatments than others. The FDA has cleared laser hair removal, regardless of the laser, for “Permanent Hair Reduction” only. What if I have gray, white, blonde or red hair? Since the laser is attracted to the pigment in the hair follicle these hair colors do not have enough pigment in them to be treated by the laser. 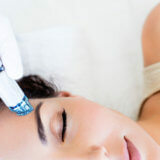 What skin types can be treated with the laser? We can only treat Fitzpatrick skin types I-IV with our laser. Do I have to take precautions during this process? 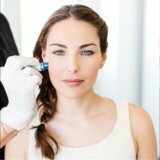 How should I prepare for my laser hair removal appointment? We prefer that our clients shave the day of their treatment. The less hair on the surface the more effective the laser treatment.